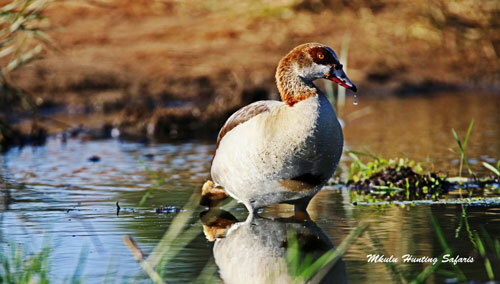 Due to popular demand, Mkulu African Hunting Safaris selected several South African plains game hunting packages for your hunting pleasure. From the start, we realized we had to compile hunting packages that would include all costs. When we signed up for rental packages in the past, the most annoying issue was ending up paying additional costs that were mentioned in the type of fine print lawyers find difficult to read. Another issue we tried to address is to limit the number of plains game hunting packages to where it stops confusing the hunter with too much information. From the outset, we decided to have a limited number of hunting packages with the most sought after plains game species. If there are additional animals you would like to hunt, ask and we will see how to accommodate any reasonable requests. This allows you the freedom of deciding what you want to hunt and does not force you to hunt a whole new package just for two more animals you ideally would like to have. Resulting from this, Mkulu Hunting Safaris designed their South African plains game hunting packages where what you see is what you pay. We also specify an additional night stay over and what it costs. So, at the end of the hunt everyone is on the same page. This makes parting ways so much more agreeable. 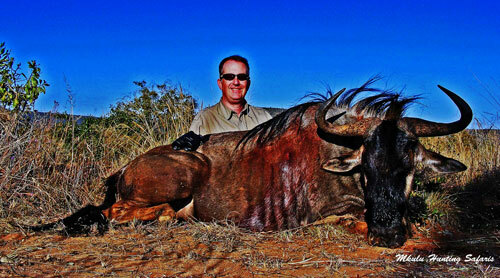 Listed below are our current South African plains game hunting packages for your hunting pleasure. Please feel free to contact us about your specific hunting needs. $ 3 750 for a 1X1 hunt. 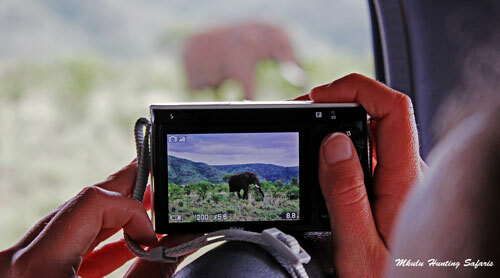 Most of our South African plains game hunting packages are conducted in the Limpopo bushveld. Granite kopjes are surrounded by Mopane bushveld to make your hunt extra special. Most of our South African plains game hunting packages that have black wildebeest associated with it, are conducted in the Free State. The high mountains and long shots make this a challenging hunt. 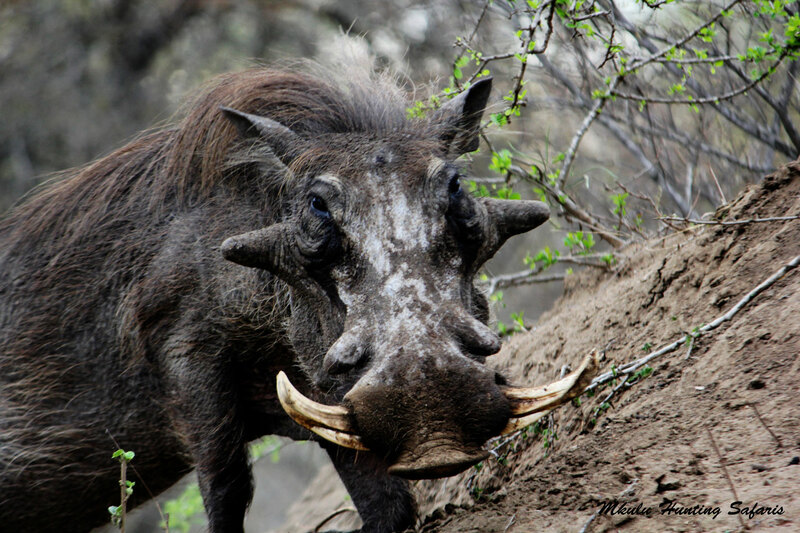 A number of our South African plains game hunting packages are conducted in the Kalahari region of the North West Province. The sandy underfoot conditions make tracking easier than elsewhere. 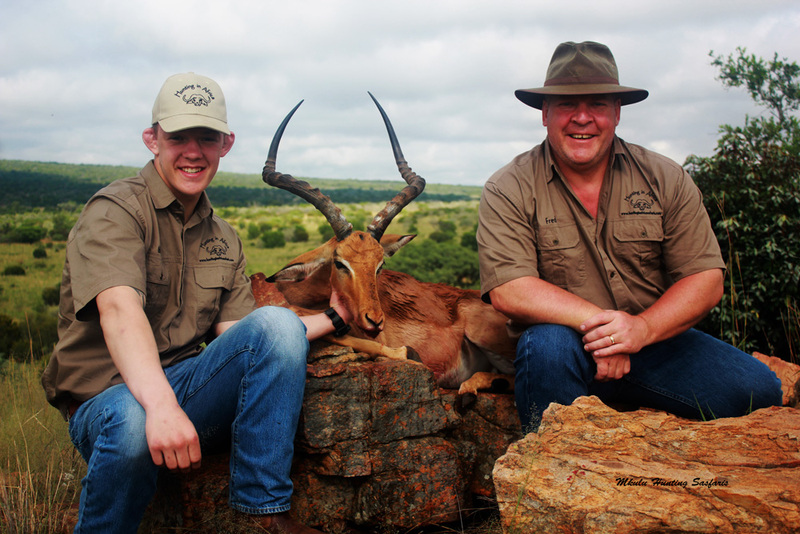 Most of our South African plains game hunting packages that offer nyala are conducted in the Kwa-Zulu Natal region. The dense bushveld makes for shorter shooting distances. 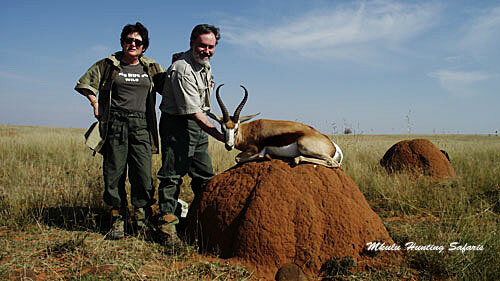 Plains game hunting packages on the Zimbabwean side of the Limpopo River are conducted by John and Debbie Hunt of Georgia Safaris. 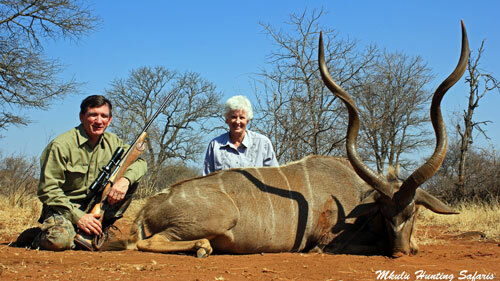 Most of the hunting is to the South of the Matopos Valley in the Matabeleland Province, South West Zimbabwe.